Nourishing Results provides resources and advice related to nutrition and how diet can impact overall health. 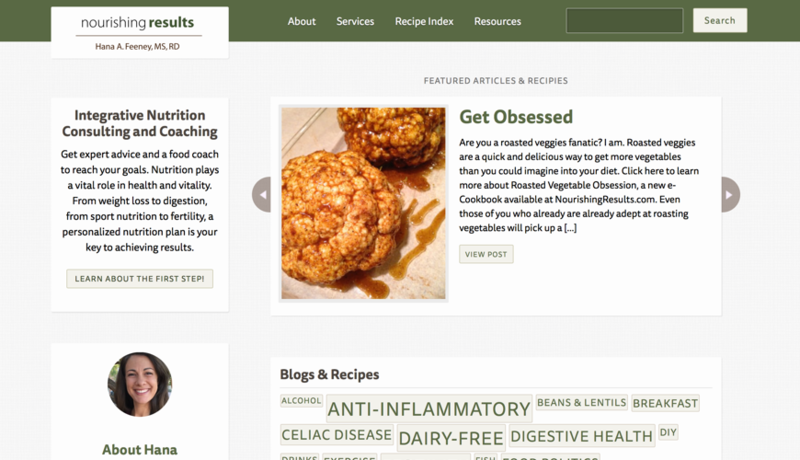 The website has articles varying from weight loss and digestion to sport nutrition and fertility. With articles varying from weight loss and digestion to sport nutrition and fertility. We helped Nourishing Results solve their performance issues and provided website design and development services for their WordPress-powered website and blog. We designed and built a custom WordPress website for Nourishing Results to show off their blog posts and help inform visitors of their services and useful products. We also made sure the responsive design worked well on mobile and tablet web browsers as well as touch screen laptops and old-school desktop PCs.